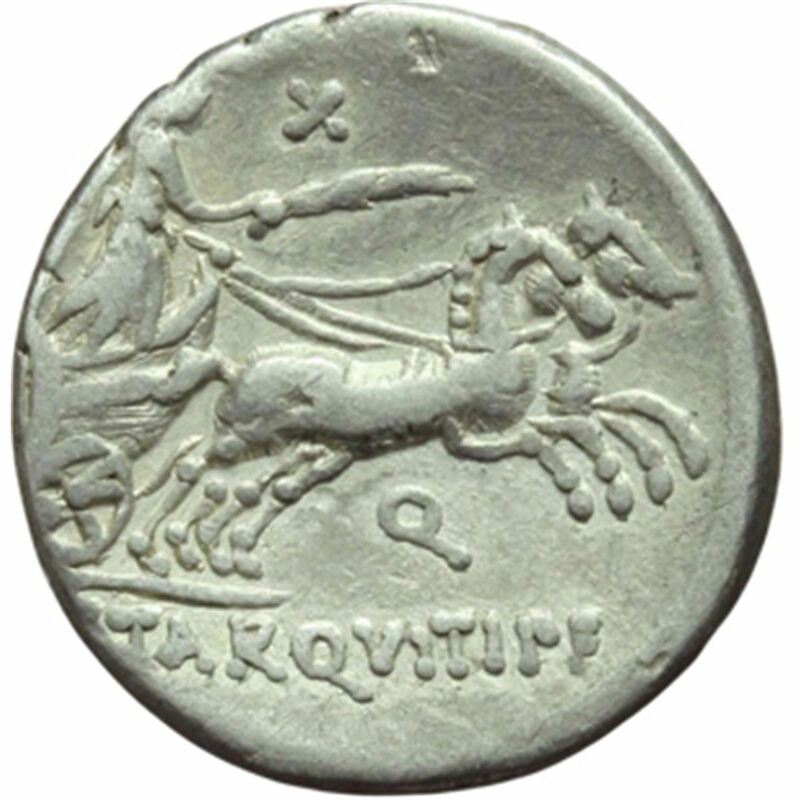 C. Tarquitius is presumed to have been quaester in Spain in 82 BC, and struck coins in this respect. He struck coins alongside C. Annius Luscus, who is presumed to be his proconsul. Gens Tarquitia was a Roman family of great antiquity. Only one member of the family is known: Lucius Tarquitius Fiaccus, who was magister equitum in BC 458 under the dictator Cincinnatus. The other Tarquitii mentioned toward the end of the Roman Republic may bear the name, but are likely not members of the same patrician family.